Visual and performing arts are a fundamental part of life at Mayville. We believe that creative exploration helps to promote confidence and self-determination in pupils. In addition to the immediate rewards of making, performing or displaying creative work, children also benefit from developing a sense of innovation and adaptability that helps them to negotiate, solve problems and make decisions independently. These skills are essential to a rounded and balanced education and enrichment in life through the appreciation of the arts. The curriculum at Mayville reflects our commitment to the arts. 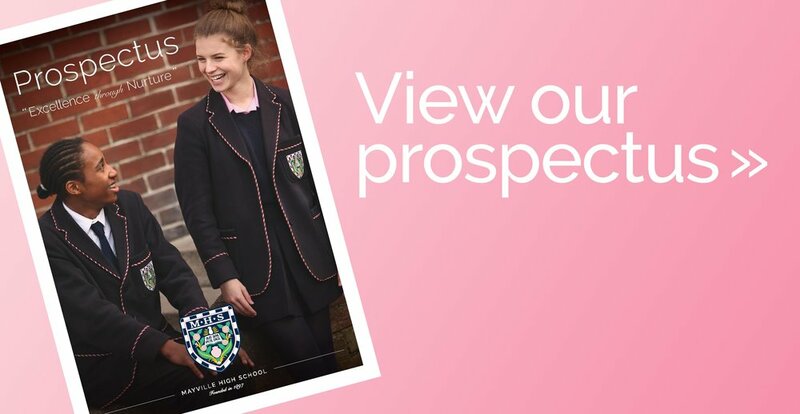 Pupils have the opportunity to explore the subjects Dance, Drama, Music and Art throughout the Pre-Prep and Junior school with the addition of Food Technology and Design Technology in the Senior school. At Key Stage 4 the Creative Arts subjects are offered at GCSE level for pupils to choose as an option. Creative subjects are given a significant allocation within both timetabled lessons and co-curricular activities for children of all ages. Expert subject teachers encourage experimentation and support progress through all creative departments. We have outstanding Drama, Music and Dance departments with dedicated rehearsal and performance spaces. Fully-equipped studio spaces provide opportunities for pupils to experiment with an extensive range of media and materials in Art and Design Technology. Pupils can explore their culinary skills during Food Technology lessons in our specially adapted Food classroom. Throughout the Pre-prep and Junior school pupils attend a timetabled dance lesson exploring genres of ballet, modern and elements of contemporary dance. The concept of choreography is introduced gradually with improvisation used to capture the creativity of each individual pupil. In the Senior school weekly practical dance lessons are complimented by an introduction to theory aspects, such as appreciation of own and professional work, technical terminology and exploration of the choreographic process during Key Stage 3; preparing for the GCSE course at Key Stage 4. Pupils have the opportunity to experience a variety of dance genres, including ballet, contemporary, modern, jazz and tap (plus exploration of other styles), alongside body conditioning and flexibility. Extra-curricular clubs during lunch time and after school are offered in dance, with selected pupils invited to join the Dance Performance Club. Throughout the school year there are many opportunities for pupils to share their work in dance and work towards a final performance. Drama at Mayville High School is more than just a subject – it is an all-encompassing, all-inclusive, fundamental part of school life. From the early years of the Junior school, pupils are encouraged to participate in school assemblies, as well as taking part in a full-scale Christmas production. Junior school Drama lessons strive to develop and nourish pupils’ confidence, as well as equip them with fundamental speaking and listening, performance and team work skills they will come to rely on in Senior school life. When pupils progress to their Senior years, they are offered a wide range of performance opportunities. From annual Rock Challenge participation, to in-house musicals, pupils use, shape, develop and grow within a community build around the Performing Arts. There are many opportunities for pupils to apply the skills they have learnt in the classroom – such as annual participation in the Shakespeare’s School Festival, performances at our Prize Giving Ceremony, poetry recitals, talent shows, and Creative Arts evenings. Perhaps our most ambitious project sees every pupil have the opportunity to participate in at least one theatre production like no other, performing on stage at the Kings Theatre – with previous plays including Peter Pan, and this year’s production of High School Musical. Be it performing in a cast of 30 or 300, Mayville ensures that pupils get the best from the skills they develop in the Drama classroom, and ensures they have the opportunity to achieve their true potential. As an extra-curricular activity in the Senior School pupils have the opportunity learn about Stage Management, Lighting and Sound. This enables them to be part of the Mayville High School Production Crew providing technical support to many of Mayville’s productions and events. The Production Crew can be involved in everything from school assemblies to full scale productions, from Rock Challenge to School Fairs. In the Junior school pupils in Upper 3 will have the opportunity to be part of a backstage crew during our Junior Christmas Extravaganza. They will learn the importance of working together as a team to ensure the production runs smoothly, often these pupils go on to be part of the main Production Crew in the Senior school. At Mayville, Music is taught throughout the school on a weekly basis. All pupils will learn about music from a variety of genres and they will explore these through listening and responding to music, singing, playing and even composing music which may be linked to these genres. Pupils are encouraged to take part in group activities where they may be involved with singing and/or playing. They will have the opportunity of learning specific instruments and find out about musical notation. They will explore what makes music ‘work’ and listen to what composers and performers have done with these conventions, features and devices. Music offers children a unique way of responding to sound and can allow them to explore their emotions and creative personalities. We enjoy the opportunity of opening these doors for young people and giving them some of the skills needed to make the most of these musical experiences. Individual lessons are available in singing and a wide range of musical instruments, with pupils also having the opportunity to perform together in the Orchestra, Choir or Band. Our aim at Mayville within teaching Art is that all pupils will build upon their natural pleasure in visual communication to find enjoyment in creative arts and see themselves as artists, finding a sense of purpose, achievement and fulfilment in artistic expression. Art education at Mayville engages creation and evaluation. The creative element involves children in using materials and equipment to represent objects realistically and imaginatively. The evaluation element enables pupils to develop skills in evaluating their own work and that of artists and to understand the value and significance of art in society. Through Key Stage 3 pupils will be taught a variety of artistic skills with an introduction to the philosophy of the GCSE art exam and the opportunity to develop and appropriate vocabulary to help them understand and discuss their own work and that of others. In the Senior school invited pupils attend an extra-curricular Art club to further their skills. Design and Technology is part of everyday life and is constantly evolving. At Mayville our focus is on encouraging pupils to again an awareness and learn from the wider influences associated with Design and Technology, including historical, social, cultural and environmental issues. Pupils will get the opportunity to work creatively when designing and making and develop practical skills associated with a wide range of materials such as woods, metals, plastics and textiles, allowing students to manufacture high quality outcomes. Turning unique and imaginative ideas into reality. Should pupils wish to study our AQA GCSE course with the option of Timbers or Textiles, they will develop skills in core technical areas and have the opportunity to study their specialist technical principle in greater depth. Food at Mayville is based around practical activities allowing pupils to take home dishes they have made that day. Throughout Key Stage 3 all pupils will experience a variety of focused and open design briefs to develop their creativity, knowledge and understanding of working with tools, equipment, materials and modern technologies. They will work with food as a material to learn basic food preparation and production techniques. Healthy eating and energy balance will be explored and the importance of producing high quality safe finished items. They will work in a specialist environment where effort and achievement are recognised, displayed and celebrated. A variety of teaching styles will develop pupils’ technical literacy and thinking skills to enable all students to aspire and achieve their potential, enabling progression to a Key Stage 4 option is desired. Pupils will necessarily need to taste and prepare foods but sensitivity will be given to those who for a number of reasons are unable to taste specific foods. If pupils opt for GCSE FPAN then the sky really is the limit as many opportunities are given for them to choose their own recipes. Weekly assemblies, termly concerts and regular productions give every child the chance to perform in front of their peers, as well as represent the School in the local community. Our pupils are confident performers and self-assured public speakers; a number of pupils gain LAMDA qualifications in addition to their regular studies. Mayville’s creative arts are well represented outside of the School, with a number of pupils performing at a professional level in West End shows and national competitions. Regular large scale productions, whether staged in our own theatre space or at the King’s Theatre, along with all-school involvement in the annual JRock™ and Rock Challenge® competition, give everyone the chance to benefit from participation. This year our summer production sees over 200 pupils performing in Disney’s High School Musical at The Kings Theatre. Behind-the-scenes roles in lighting, sound, costume, set design and scenery painting offer all pupils a chance to enjoy being part of the team. The arts are for everybody – Mayville children are encouraged to develop their creative imagination and make their own unique contribution to the cultural life of the school.